Best phone interview guide ensures you handle phone interviews professionally and confidently. Often this is the key first step in the hiring process and with the right interview preparation you can move successfully to the next stage. Companies use interviewing over the phone to narrow down the initial pool of job candidates to a more manageable number for a face-to-face meeting. It's a good way of checking that the candidate lives up to their resume and to test the waters. 1. Are you easily contactable by phone? The very first step is to make sure the interviewer has all the necessary contact details for you. Your resume and job application should include accurate contact information for you. List the numbers where you can be reached and indicate what time of day you will be available. If you are going away and not going to be contactable for a period you should highlight this on your resume. Make contacting you as easy as possible. The interviewer cannot assess the appearance or manner of the candidate, they can only listen to your voice, to your answers and to the energy and attitude that you convey. Your communication skills are essential to success in this type of interview. Few people get hired only on the basis of this initial screening. The standardized phone interview questions are designed to determine whether it is worthwhile to continue the process with the candidate. To present yourself in the most positive manner requires good organization and preparation beforehand. Thinking that you can "wing" the call will usually end in a poor result. A good idea is to carry out a practice interview on the phone with a family member or friend. You can adapt the mock job interview for this purpose and ask for honest and constructive feedback. This will help to build your confidence and ensure that you are ready for the real thing. Record yourself or ask a friend for feedback. 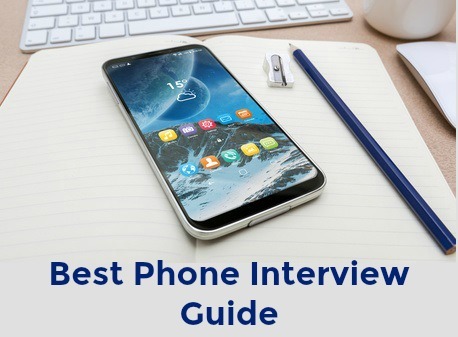 Some people find this sort of interview easier than others, however it is simple to develop good telephone job interview techniques and skills that will set you up for success. The call may consist of a few quick questions or it may be a much longer evaluation. Whatever the format the candidate needs to successfully get through it to advance to the next step of the hiring process, the face-to-face job interview. Send a phone interview thank you email after your interview. Use it as an opportunity to restate your enthusiasm for the position and your suitability for the job. What about Skype job interviews? 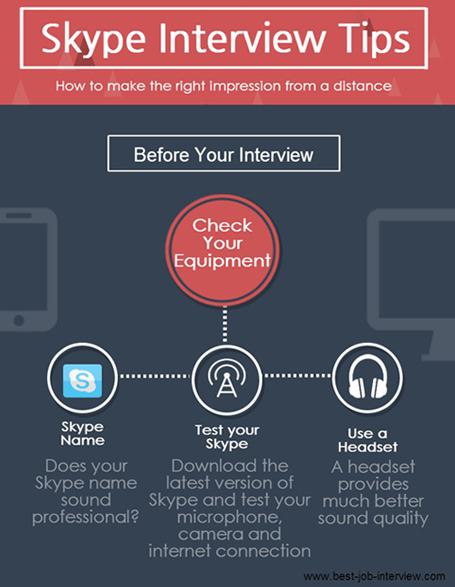 Skype job interviews demand specific interview techniques. Make this type of job interview work for you and progress to the next stage of the hiring process.